I am just in LOVE with the Fruit Stand collection! I immediately thought it would be fun to make a fruit basket. 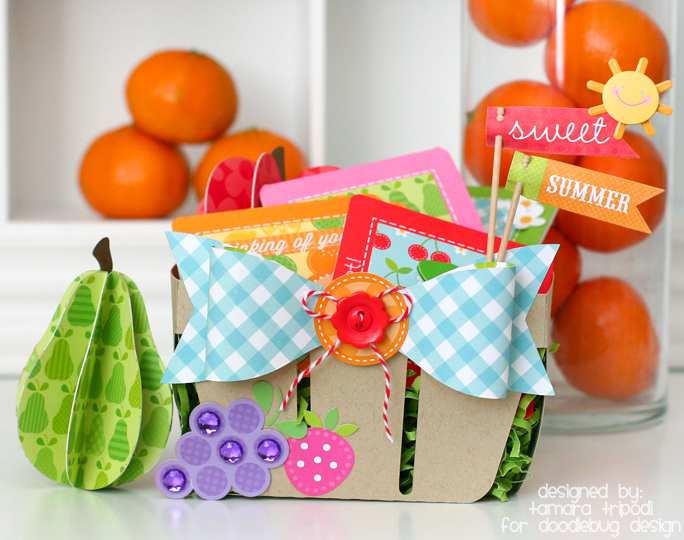 As I was making it, I decided to create little fruit themed cards to go inside. How cute is this? 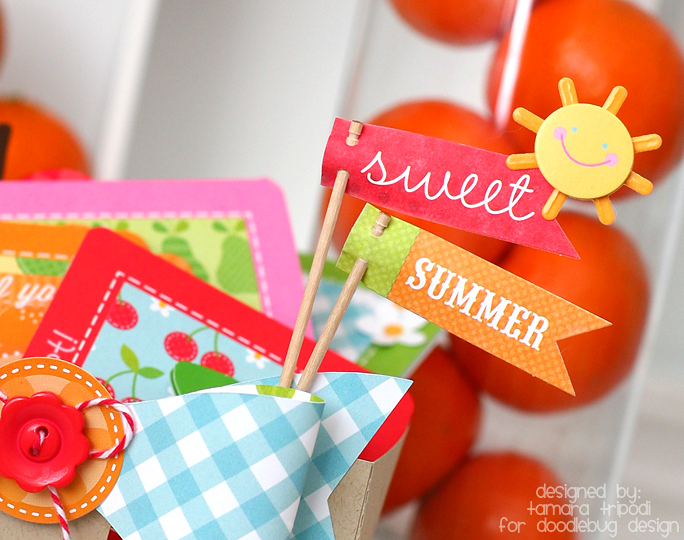 The Create-a-Card system is perfect for making quick and easy note cards. 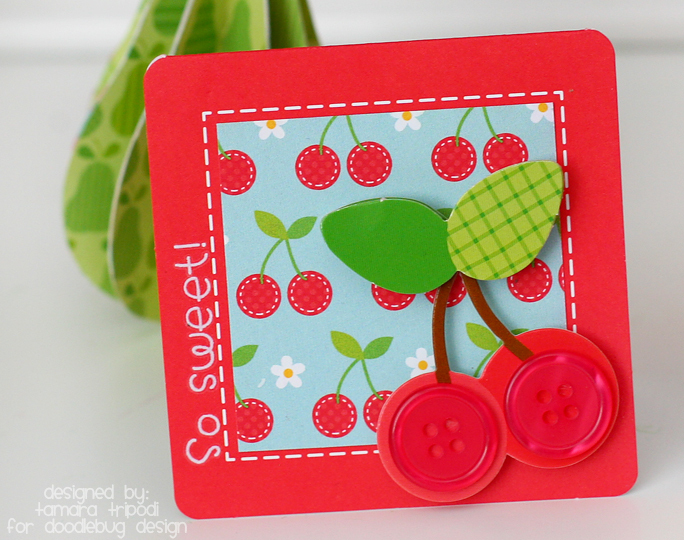 I turned the Swiss Dot Card inside out and covered the pre-cut hole with a banner layered embellishment. A mix of buttons were threaded and then added to the top of the card with Glue Dots. I let the design from the Simply Put Album Inserts do the work for me here! 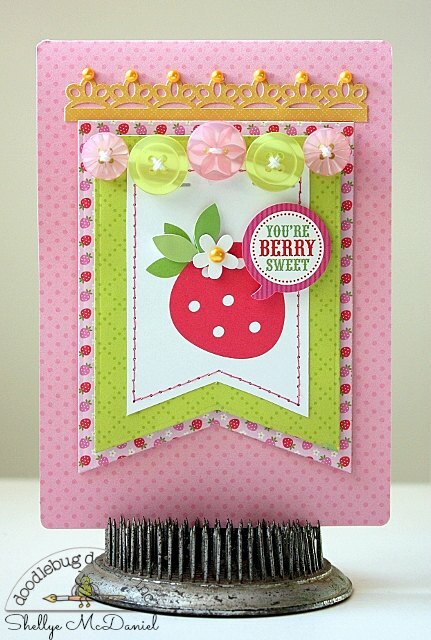 For a little added pop, I added the sticker sentiment with foam dots and stitched on a couple of buttons. 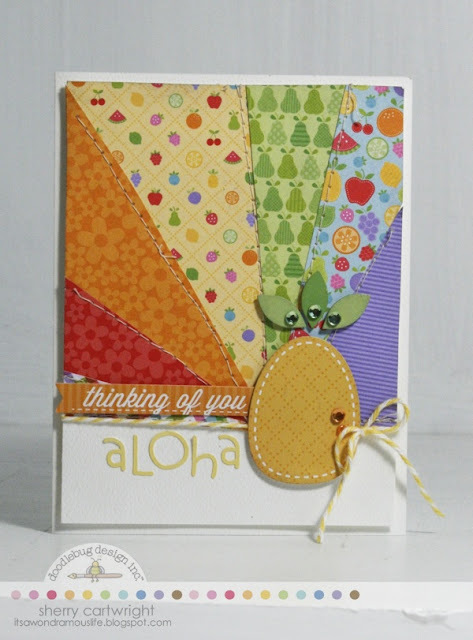 I created a sunburst background using a variety of patterned papers from the fruit stand collection. 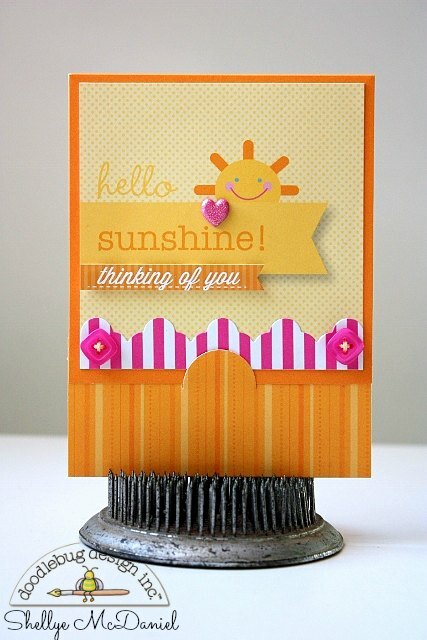 This is the perfect solution for scraps! All of these card are so super sweet!!! I am loving this collection.. 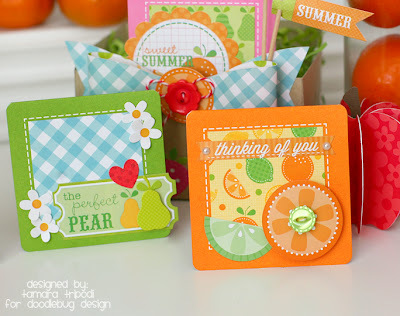 These cards are just so cute--Fruit Stand is adorable! Oh, wow! Amazing. Just amazing! Such a happy joyful collection! Pinning like mad. 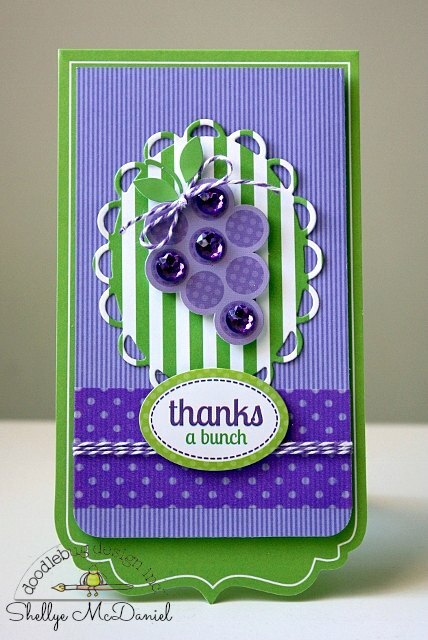 The purple grapes really made my day! I LOVE this collection! Adorable cards. Beautiful projects! Such a happy, fun collection!